RITA J. LONNEMAN, age 85 of Adrian, died Thursday, January 31, 2019, at the Minnesota Veterans Home in Luverne. She was born November 28, 1933, in Lismore, to Louis and Mary (Voss) Lutmer. Rita graduated from St. Anthony Catholic High School in 1952. She later worked at the Brentwood Egg Plant in Adrian. Rita married Anthony Lonneman on September 12, 1956, at St. Anthony Catholic Church in Lismore. After their marriage, the couple farmed south of Adrian. In 1990, they moved to Adrian. 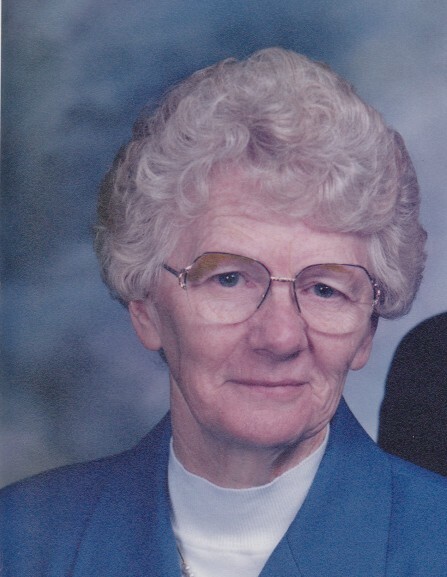 She was a member of St. Adrian Catholic Church; and the WCCW. She enjoyed traveling, fishing, bowling, cooking, baking and the love of her family. Rita is survived by her husband, Tony Lonneman, Adrian; four children, Tom (Corinne) Lonneman, rural Adrian; Karen Lonneman, Olivia; Carol (Kim) Sundlee, Montevideo; and Marty (Ginger) Lonneman, rural Ellsworth; seven grandchildren, Jennifer (Eric) Meyer, Brad (Jennifer) Lonneman, Ryan (Lindsay) Lonneman, Kristi (Evan) Metzger, Matthew (Ashley) Sundlee, Darik (Maria) Lonneman & Dustin (Kelsey) Lonneman; eleven great-grandchildren, Braxton, Breyer, Briggs & Brooks Lonneman; Treyton & Berkley Metzger; Gracelyn & Eastyn Lonneman; Leyla & Lillie Sundlee; and Grant Lonneman; and two sisters, Bernice Arens, Mahnomen; and Audrey Reisdorfer, Worthington. She was preceded in death by her parents; one brother, Delbert Lutmer; and a sister, Mildred Gleis. Visitation will be from 2-5 pm Sunday with Parish Prayers at 2 pm at the Dingmann Funeral Home in Adrian. Visitation also from 9:30 am to 10:15 am Monday at the funeral home. Funeral Mass will be 10:30 am Monday at St. Adrian Catholic Church, in Adrian, officiated by Monsignor Richard Colletti. Burial will be in the St. Adrian Cemetery. In lieu of flowers, memorials are preferred to the Minnesota Veterans Home, 1300 N. Kniss Ave, Luverne, MN 56156.